Dr. Yamamoto is a leader in science and public policy. He has made an indelible impact by simultaneously advocating for Precision Medicine across the .edu, .gov, .com and .org sectors. As Chair of the National Academies Board on Life Sciences, he appointed and served on the study committee that produced “Toward Precision Medicine: Building a Knowledge Network for Biomedical Research and a New Taxonomy of Disease”, the report that enunciated the precision medicine concept. He helped to stimulate President Obama’s interest, which led to the Precision Medicine Initiative, as well as Gov. Jerry Brown’s launch of the California Initiative to Advance Precision Medicine. He also promoted a precision medicine approach to Vice President Biden’s Cancer Moonshot, provoked broader participation by the corporate and nonprofit sectors, and directs UCSF Precision Medicine, an institution-wide imperative. In addition, Dr. Yamamoto has led or served on numerous federal or national committees focused on public and science policy, public understanding and support of biological research, research funding and peer review, and science education and the biomedical workforce; he chairs the Coalition for the Life Sciences, and sits on the National Academy of Medicine Council and Executive Committee, and the National Academy of Sciences Division of Earth and Life Studies Advisory Committee. He is a member of the Advisory Board for Lawrence Berkeley National Laboratory and the Board of Directors and Executive Committee of Research!America. 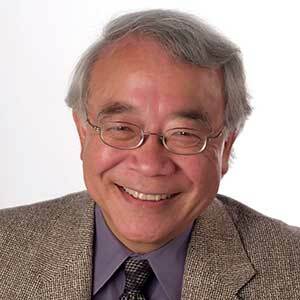 At UCSF, Dr. Yamamoto is vice chancellor for science policy and strategy, vice dean for research in the school of medicine, and professor of cellular and molecular pharmacology. He is a leading researcher, investigating transcriptional regulation by nuclear receptors, which mediate the actions of essential hormones and cellular signals; he uses mechanistic and systems approaches to pursue these problems in pure molecules, cells and whole organisms. He is an elected member of the National Academy of Sciences, the National Academy of Medicine, the American Academy of Arts and Sciences, and the American Academy of Microbiology, and a fellow of the American Association for the Advancement of Science.